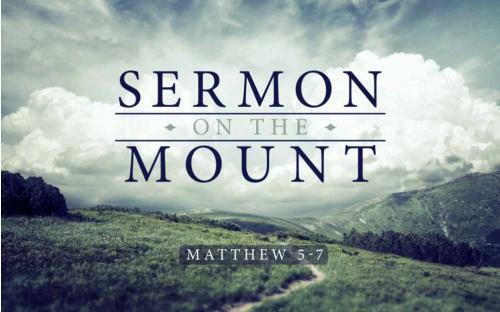 Chapter eight concluded the Sermon on the Mount. It has been conceded by friend and foe alike that there has been given no higher ethic than that in the Sermon on the Mount. Now the question arises: How can one attain to that high ethic? To answer this question, Matthew brings together a series of miracles which demonstrate that the One who gave the ethic also has the dynamic for its accomplishment. Our Lord made it very clear to us who are believers, that " . . . without me ye can do nothing" (John 15:5). I wish that we could keep that fact before us at all times. You and I, in and of ourselves, are unable to produce anything which is acceptable to God. Christ today works through the Holy Spirit, whom He sent into the world, to accomplish through us what we cannot do. This reveals an important point: Matthew is not attempting to give us a biography of the Lord Jesus, nor is he attempting to put in chronological order the series of events that took place in His ministry. Rather, he is giving us a movement, which we must not miss. The King went to the mountain, expressed His manifesto, the law of the kingdom; now He comes down from the mount, and we see twelve miracles that He performs. This demonstrates that when He rules on this earth, He will have the dynamic to enforce the laws of His kingdom. I personally believe the Sermon on the Mount IS probably in an abridged edition. When Jesus returns for the second time, we will have the unabridged, which means that there will be many more things to be carried out. Healing the leper, our Lord touches him. This is human disease at its worst. Healing the centurion's servant is done from a distance- He has no physical contact with him. Healing St Peter's mother in law, He touches her. Casting out demons, He moves into the supernatural realm of spirits. Stilling the winds and the sea is in the realm of nature and demonstrates His power over natural forces. Casting out demons from the two Gergesenes is a very difficult case in the realm of the spirit world. The King moves in all of these different areas, and Matthew lists them not in a chronological order but in a logical order. There is a definite movement in Matthew's record. Now let us turn to the text. And when he was come down from the mountain, great multitudes followed him: (Matthew 8:1). Notice that "great multitudes followed him." There were not just a few folk. You see, He was up in Capernaum, where his headquarters were. And I am confident that the following miracle occurred there. Of course, this raises the question of where He had been when He gave the Sermon on the Mount. I have read many different theories, but I do not think the location is important for us to know. We are told that when He came down from the mountain, great crowds followed Him. Is the King who is able to enunciate the ethic also able to move with power among humanity? That is an important question. And behold a leper came and adored him, saying: Lord, if thou wilt, thou canst make me clean. (Matthew 8:2). Notice that Jesus came from the heights to the very depths. Leprosy, symbolic of sin in the Bible, was considered incurable; leprosy was the most loathsome disease. And when this leper came to Jesus, he did not ask, ''Will You make me clean?" or 'are You able to make me clean?" This leper had faith. He recognized the lordship of Christ, and on that basis said, "If thou wilt, thou canst make me clean." What we ask is not always the Lord's will, friend. But if it is His will, He can do it. It is most important that the will of God comes first. It may be easy for you, but it is difficult for me to put the will of God first. I put it like this, "Lord, will You do this because I want You to do it?" But the leper says, "I know You can, but will You?" That is, is it according to Your will? This is a little different from what we hear folk pray today when they demand that the Lord do certain things. Let Him decide, because in the end that's the way it is going to be done anyway. And Jesus stretching forth his hand, touched him, saying: I will, be thou made clean. And forthwith his leprosy was cleansed. (Matthew 8:30). "Jesus stretched forth his hand, and touched him." If I had touched a leper, what would have happened? Well, I might have contracted his disease, and I would not have healed him. But notice what happens. First of all, He did touch him. Have you ever stopped to think that this man not only had the physical disease of leprosy but that he had a psychological hang-up that was terrible? I do not know this man's background, but I imagine that one day he noticed a breaking out on his hand. Perhaps he had been out plowing, came in, showed his wife, and she put some ointment on it. The next morning it was just as red as it could be, and he went out and plowed again. This went on for about a week, and his wife started getting uneasy. She suggested he visit the priest. He went to the priest who isolated him for fourteen days. At the end of this period of time the disease had spread. The priest told him he had leprosy. The man asked the priest if he could go and tell his wife and children and say good-bye. The priest said, "I'm sorry, you cannot tell them good-bye. You cannot put your arm around your wife again or hold your children in your arms anymore. When anyone comes near you, you must cry out, 'Unclean, unclean. '" He saw his children grow up from a distance. They would leave food in a certain place, and he would come and get it after they withdrew. He could not touch them. In fact, he had been able to touch no one, and no one had been able to touch him. Then one day he came to Jesus and said, "Lord, if thou wilt, thou canst make me clean." And what did the Lord Jesus do? He touched him. May I say to you that the touch of Jesus was one of the most wonderful things that ever had happened to the man. It not only cleansed his leprosy, but it brought him back into the family of mankind and into the family of God. "forthwith, Immediately his leprosy was cleansed." And Jesus saith to him: See thou tell no man: but go, shew thyself to the priest, and offer the gift which Moses commanded for a testimony unto them. (Matthew 8:4). In Mark's record we find that this man was so overjoyed-and you can't blame him-that he went out and told everybody he met. He "blazed it abroad!" Consequently, the crowds pushed in on our Lord, and He was forced to retire from the city and stay in desert places. Before we continue I would like to put a little advertisement in here and recommend reading anything you can get your hands on concerning Father Damien. Father Damien was a Roman Catholic missionary priest from Belgium who is most noted for caring and ministering to people with leprosy. He eventually died of leprosy died himself. He was a wonderful priest. Jesus now enters into the city of Capernaum. And when he had entered into Capharnaum, there came to him a centurion, beseeching him, (Matthew 8:5). I'm sure the centurion had heard about the leper's healing. The centurion was a Gentile, a captain of sixty centuries which means companies of one hundred men in the Roman legion. Luke's record tells us that he had built a synagogue for the Jews. And saying, Lord, my servant lieth at home sick of the palsy, and is grieviously tormented. (Matthew 8:6). This servant was in a very serious condition. The centurion was in a position in which he recognized authority. He wore a Roman uniform and could say to a soldier under him, "Do this," and he did it. Why? Because of power, which is authority. He looked at Jesus and said, "You have that kind of power.” He recognized that Jesus had that kind of authority over physical illness. And Jesus hearing this, marvelled; and said to them that followed him: Amen I say to you, I have not found so great faith in Israel. (Matthew 8:10). It is recorded that on two occasions the Lord Jesus Christ marveled. One was at the unbelief of Israel, and the other was at the faith of this gentile centurion. It is interesting that He said that many should come from the "east and the west." At the time our Lord said this, my ancestors (and perhaps yours also) were in the west. Or perhaps your ancestors were in the east. Our Lord said that this message was going to get out to them also, so that they could trust Him and could "sit down with Abraham, and Isaac, and Jacob, in the kingdom of heaven." What a tremendous statement! Of course, each individual has to exercise personal faith in Christ. No Adult individual can claim that because they were baptized into the Church, or the fact that his parents were Catholic and held the faith, for his own salvation. Once an Adult you must take the faith for yourself. 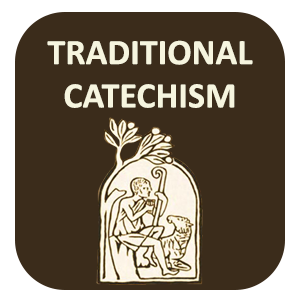 You must exercise that personal faith in Christ so that the sacramental baptism can continue to exercise grace in your life, and so that you can be of those who get to "sit down with Abraham, and Isaac, and Jacob, in the kingdom of heaven." And Jesus said to the centurion: Go, and as thou hast believed, so be it done to thee. And the servant was healed at the same hour. (Matthew 8:13). Although the afflicted servant was not in the presence of Jesus, the centurion's faith in Jesus Christ caused him to be healed. Jesus touched a leper, and he was healed. Now He heals the centurion's servant from a, distance. Next we come to the third miracle of healing. And when Jesus was come into Peter's house, he saw his wife's mother lying, and sick of a fever: And he touched her hand, and the fever left her, and she arose and ministered to them. (Matthew 8:14-15). Peter's mother-in-law was sick with a fever. He touched her and healed her. Notice these three types of diseases. One disease is leprosy, which is incurable. Another affliction is palsy, a paralysis. The other illness is a fever, possibly caused by a temporary illness. The fourth miracle occurred in the evening. And when evening was come, they brought to him many that were possessed with devils: and he cast out the spirits with his word: and all that were sick he healed: (Matthew 8:16). Let me call to your attention the fact that they brought "many" to Him. No isolated cases are given. Again I say that if you watch this gospel record carefully, you will see that Matthew makes it clear that there were literally thousands of people healed in that day. For instance there were thousands of blind men who could now see. There were thousands of crippled folk who were walking around normally. There were thousands of deaf people who could now hear. This is the reason that the enemies of Jesus never questioned whether or not He had performed miracles. Instead, they asked how He had done them. So what was His answer? That it might be fulfilled, which was spoken by the prophet Isaias, saying: He took our infirmities, and bore our diseases. (Matthew 8:17). Let's turn the pages back to Isaiah and look at this verse. "Surely he hath borne our infirmities and carried our sorrows: and we have thought him as it were a leper, and as one struck by God and afflicted." (Isaiah 53:4). Of what are we healed and what are we exorcized from? Well, the word “healed” and the word exorcized is not in Isaiah 53:4, but it is implied based on the fact that Jesus used this verse to answer the peoples question about how he could exorcise demons and heal thousands of people of their sicknesses. And Jesus seeing great multitudes about him, gave orders to pass over the water. (Matthew 8:18). Notice the great multitudes of people about Him. Literally, He had healed thousands of afflicted people, and not just those individual cases recorded. John substantiated this fact in his Gospel of John when he wrote: ''Many other signs also did Jesus in the sight of his disciples, which are not written in this book. But these are written, that you may believe that Jesus is the Christ, the Son of God: and that believing, you may have life in his name." (John 20:30-31). Just as Jesus was getting ready to cross to the other side, a man approached Him. And a certain scribe came and said to him: Master, I will follow thee whithersoever thou shalt go. (Matthew 8:19). ...the foxes have holes, and the birds of the air nests: but the son of man hath not where to lay his head. (Matthew 8:20). In effect, the Lord Jesus was saying to this scribe, "Have you counted the cost?" Our Lord was revealing His poverty when He was here upon this earth. The scribe had opened his heart; so our Lord opens His heart. I imagine that He said something like this: It will cost you something to follow Me. When we go to a place, where there are no reservations made for us at a Hilton Hotel or a Holiday Inn-we just don't have a place to stay. The birds of the air have nests, and the foxes have holes in the rocks where they can go, but the Son of man has nowhere to lay His head. The poverty of the Lord Jesus! Poverty is part of the curse that He bore. We are not told that this scribe followed Christ. And another of his disciples said to him: Lord, suffer me first to go and bury my father. (Matthew 8:21). Here is a disciple who has made a decision to follow the Lord but wants to bury his father first. This incident has been greatly misunderstood. We get the impression that the old gentleman had just died and that the family was getting ready to hold the funeral service. Our Lord seems very harsh when He replies. But Jesus said unto him, But Jesus said to him: Follow me, and let the dead bury their dead. (Matthew 8:22). What does the Lord mean by this? How could the dead bury the dead? One authority on the Middle East, tells of one incident where he wanted to hire an Arab guide. He explained where he wished to go and was told of a young man in a certain village who would be an excellent guide. Dr. Smith went to the village and asked the young man to be his guide and was told, "I first have to bury my father." And there, in front of his hut, sat the old gentleman as hale and hardy as you please. What the young Arab really meant was that he could not leave because he would have to care for his father until he died. The father was the son's responsibility. The Lord Jesus told the young man who had come to Him to let someone else take care of his father or let the father take care of himself. Does He impress you as being unfeeling when He said this? I don't think He was. It is my conviction that our Lord was bringing this young man to make a decision. Was he going to put Christ first? When the young man made that decision, the Lord Jesus probably said to him, "Then you go back home and take care of your father." There is a story from many years ago were there was a young lady whose father was a demanding old man. She became a missionary Nun, and went to a field of service, and did a good work. When she came home after many years, she found her father absolutely helpless. There was no one else to care for him, and he accused her of deserting him and of not being a Christian. Her father had never made a decision for Christ; so she was given permission from her superiors to go home and made him comfortable and give him companionship. And so she did. The old man was really shaken by it, and during that time he made a decision for Christ, was baptized and was brought into the Church. I am confident that the Lord Jesus was leading her in all of that, but there was a day at the beginning when she had to decide whether she would become a missionary Nun and put Christ first. That probably was the case of the disciple whom Matthew tells us about here. And when he entered into the boat, his disciples followed him: (Matthew 8:23). We have now come to the fifth miracle. It has nothing to do with healing a body but concerns a physical miracle over nature. Here the authority of the Lord Jesus is demonstrated, and I believe that Adam had that same authority before he lost his dominion. Now we see in the Lord Jesus, the last Adam, the manifestation of this dominion. And behold a great tempest arose in the sea, so that the boat was covered with waves, but he was asleep. (Matthew 8:24). Notice that our Lord was asleep. This is one of the most human scenes Matthew gives us. Jesus was so weary that even in a storm He could sleep! It reveals something else: He could sleep in a storm whereas I cannot. The disciples were a little nervous during storm. And they came to him, and awaked him, saying: Lord, save us, we perish. (Matthew 8:25). What little faith they had! Notice how He handled the situation. And Jesus saith to them: Why are you fearful, O ye of little faith? Then rising up he commanded the winds, and the sea, and there came a great calm. (Matt. 8:26). He rebuked the disciples for their lack of faith, then He rebuked the winds and the sea. The word Luke uses for "rebuke" is muzzle. He controlled the waves like we would put a muzzle on a dog. And the waves just smoothed out! Although it is true that these men showed very little faith at this time, there came a day when the storms of persecution broke over their little lives, and I can't find a record of anyone of them crying out, "Carest thou not that we perish?" Rather, we read in Acts 4:29 that they said, “And now, Lord, behold their threatenings, and grant unto thy servants, that with all confidence they may speak thy word," That was the important thing to them. Oh, how we need that kind of courage and conviction in this day in which we live! Note the profound impression made on His disciples by the miracle of stilling the storm. But the men wondered, saying: What manner of man is this, for the winds and the sea obey him? (Matthew 8:27). The One who could give the ethic given in the sermon on the mount is the One who can also demonstrate the dynamic. The sixth miracle is a tremendous one. We will not go into detail, but it has to do with the casting out of demons. And when he was come on the other side of the water, into the country of the Gerasens, there met him two that were possessed with devils, coming out of the sepulchres, exceeding fierce, so that none could pass by that way. (Matthew 8:28). Here Jesus is in Gadara, as it is called today. The people living here were from the tribe of Gad. In the Old Testament. when the land was being divided up among the tribes of lsrael, the tribe of Gad stayed on the wrong side of the Jordan River. What happened to them? They went into the pig business, which, as Jews, they should not have done. Once you disobey the Lord, the next step of disobedience is not so difficult. Before long you are walking out of His way and His will altogether. When Jesus entered into this country, He was met by two men possessed with devils. These were dangerous men, demon-possessed men. And behold they cried out, saying: What have we to do with thee, Jesus Son of God? art thou come hither to torment us before the time? (Matthew 8:29). Personally, I believe the miracles involving demons are the greatest Jesus performed. And there was, not far from them, an herd of many swine feeding. And the devils besought him, saying: If thou cast us out hence, send us into the herd of swine. (Matthew 8:30-31). For some reason demons want to be brought into physical reality. They seem to be concerned about being materialized. They were even satisfied to indwell a herd of swine. And he said to them: Go. But they going out went into the swine, and behold the whole herd ran violently down a steep place into the sea: and they perished in the waters. (Matthew 8:32). The herd of swine, however, would rather die than to have the demons possess them. Mankind is a little different. Many people are demon-possessed today. We had a real manifestation of the supernatural during the time of Moses, during the time of Elijah, and during the time of the Lord Jesus. Today we seem to be moving into an orbit where we are seeing more and more manifestations of that which is demonic. There are many evidences of it all about us. Many instances are difficult to pinpoint, and there is always a danger of going overboard and saying, "I believe So and-So is demon possessed." We need to be wary of doing this because it is sort of like witch-hunting. Nevertheless, there are many demon-possessed people today. This is certainly ironical, is it not? These people would rather have their pigs than Jesus. Believe me, this is not peculiar to the Gadarenes. There are a great many people today who prefer their "pigs" to the Lord Jesus Christ.